Nanotron and Marco improve safety and productivity for longwall mining operations | Location Running. Berlin, Germany, June 05, 2018 – Nanotron Technologies GmbH and Marco GmbH announce they are working closely together to deliver solutions in the mining industry, helping to improve both safety and productivity in longwall face operations. Marco has integrated nanotron’s proximity detection and positioning functions into its Longwall Face Control solution. 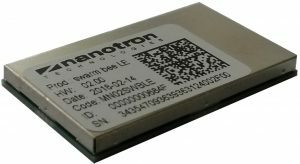 Nanotron’s swarm bee, a smart RF sensor module, is integrated into Marco’s longwall controllers, worker tags, remote control units and excavation units. The integrated solution means that the location of tagged underground equipment and mining personnel is known accurately at all times. Real-time tracking of mining workers, roof support and excavation units improves worker safety and drives compliance. It also increases longwall operational efficiency, by safely accelerating work sequences and increasing operator flexibility.